Namtor, you are very talented. Thanks to everyone for their kind remarks about my paintings. Have you got some chaps to go with those jeans Mr. Cowboy! J/K but I do like a good lookin cowboy! Kay, love the pics, your wedding hair was so pretty! rewarding thing I will ever do in my life. They grew up way too fast. finish the 1/2. Older had just turned 16 yr old did the 1/2 as a training run for his October full with his Dad. with him to make sure he finished, so at age 16 he ended up doing about an unintended 35k that day. My son Matt and I on a cold Georgia morning (40s) yesterday. JBS - Great pictures, i am not looking forward to the day I send ours off to college (yet). I hope they take up the running bug as well, the one is already showing interest but maybe its just for more time with Dad. Either i am hopeful. 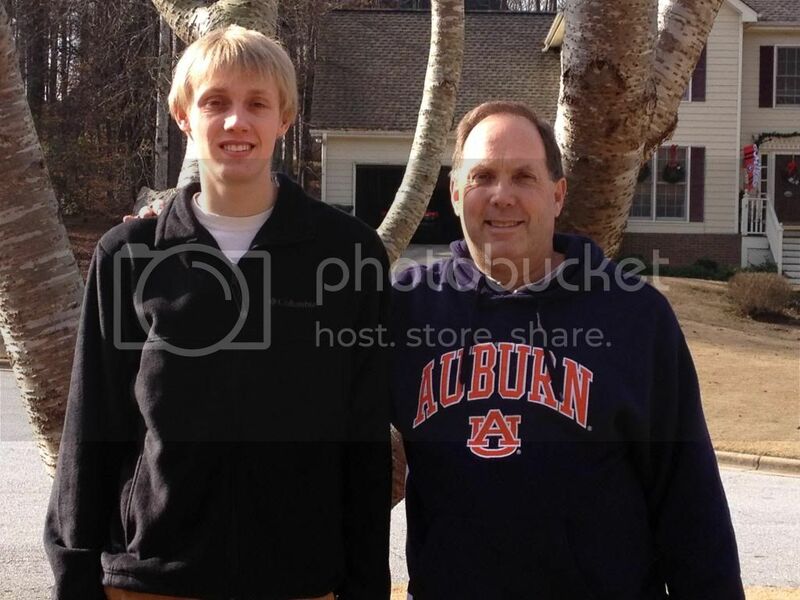 Bozy - When is that kid getting on of those Auburn sweat shirts? 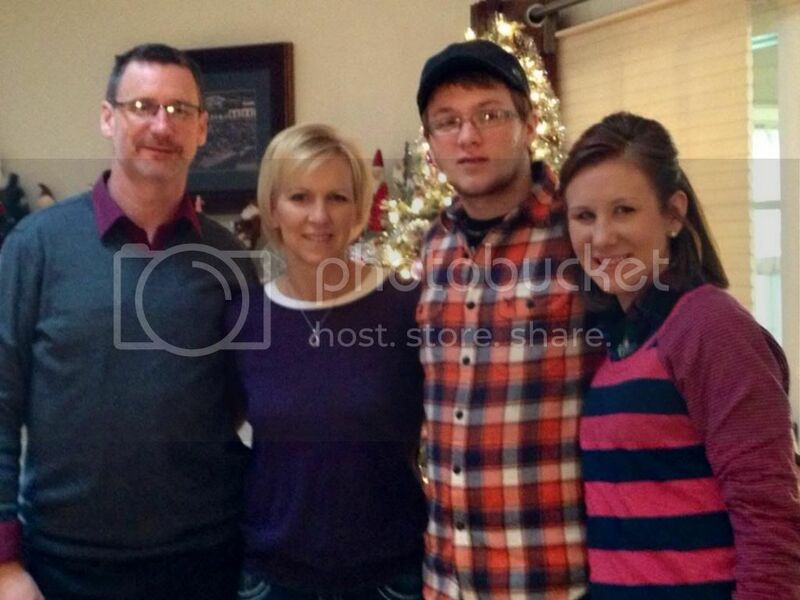 You have a good looking family. This is coming from a guy with 3 daughters. Last April. To answer your question, I wear Chinks, short for "Chingadera's". Kinda of a short Chap that ends below the knee, popular in the Great Basin and Pacific Northwest. Here is a good look while packing an elk outta Western Wyoming in 2010. Let me also compliment Namtor on his artistic talent. Truly great pictures of wonderful families! Congratulations. These are great pictures, Beth! Everyone but my son in law Christmas Day. Kay, your little brother is a fine looking gentleman. I am probably the least photogenic person I know. Here's a personal favorite, although it doesn't look like me too much. Going through the electrified wires at Tough Mudder this year. So I keep hearing, LOL!